Trained as a musician and composer French artist Céleste Boursier-Mougenot creates work by drawing on rhythms of daily life to produce sound in unexpected ways. 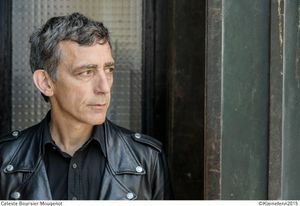 Since the late 90s the artist has composed sound installations with inflatable pools filled with water and china bowls, vacuum cleaners and most recently involving more traditional musical instruments in his work offroad (2014). Grand pianos move around the room, responding to electric sensors, which enable them to shift direction so as to avoid collisions. 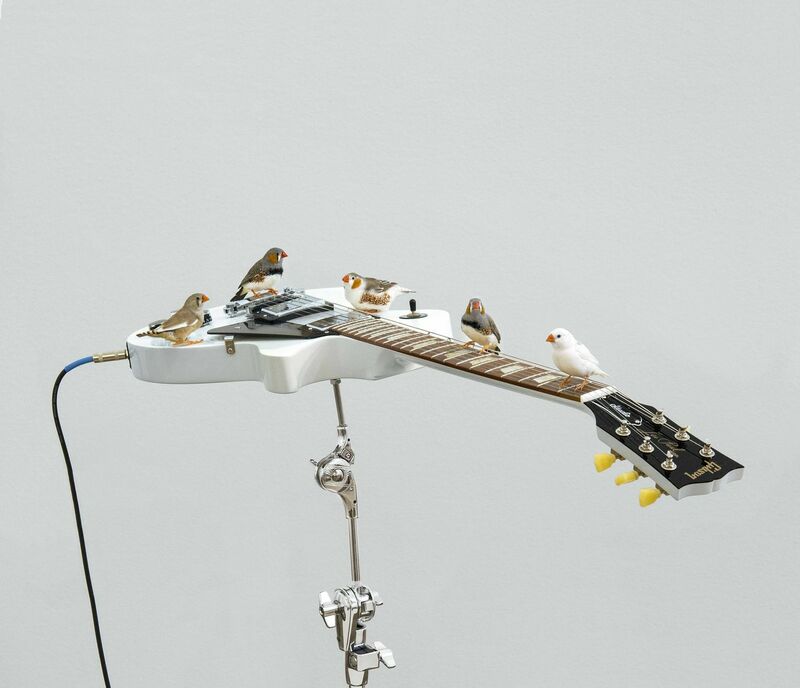 Boursier-Mougenot presents his seminal work in the Steadings Gallery from here to ear v.20 featuring a charm of zebra finches and electric guitars. This sensational presentation displays the songbirds as they perch and settle in groups upon electric guitars and basses ready to receive the finches. As they fly from one instrument to another they strike and pluck chords which draw together a concert of punk and heavy-metal along with their own song.